Not enough to actually finish one but if you break the block into three rows, for the first row, all of the first two pieces are put together and in the second row, all of the first two pieces are put together. Next up is getting the first two pieces of the bottom row put together. Short post today. Tonight is SFVQA guild meeting. Super excited to hang out with quilt ladies (and a couple men) in real life! I love you guys but you know sometimes this girl needs people she can touch! Yeah, I definitely need to get reconnected with a real-life quilt guild again. I miss that! I really do love the rich tones of your Celtic Solstice. 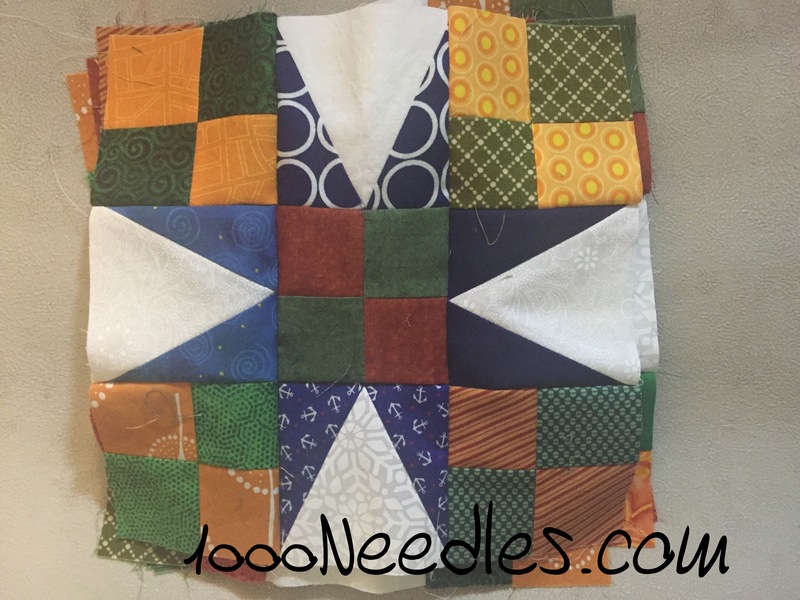 One of my favorite quilts! Looks like you are making great progress. Progress is progress, even if it doesn’t seem like much. My version of Celtic Solstice is still packed away in a project box. Maybe that one will get assembled next year. Sometimes you just have to take time out for yourself….your sewing will be waiting for you when you feel ready to continue! Thanks for linking up with Design Board Monday at Bits ‘n Bobs…..Have a great weekend! It’s good to have time for yourself and take a break. Sounds like you had a great day! I hope you had some sewing time this week. 🙂 Thanks for sharing on Main Crush Monday!